Todd Gordon, founder of TradingAnalysis.com predicted Bitcoin (BTC) to drop to $4,000 prior to a rebound above $10,000 by 2019 on CNBC’s Stock Draft June 22. Gordon suggested that BTC will drop below $5,000, subsequently hitting $10,000 by the end of the year, citing significant market volatility to be the main reason. When asked to explain his estimates, Gordon cited a “beautiful uptrend,” and called the recent correction down from $19,000 “inconsequential” given the gains in BTC price since 2015. The analyst said that the current high to low range is 17 percent on average, which is one of the lowest BTC has ever seen. “There were times when it was 20, 30, 40 percent [per] week so, if I’m down 30 percent right now in Bitcoin, that’s nothing, I can make that up in two weeks,” he continued. Gorgon argued that the cryptocurrency market is “very technically driven,” so reckoning on the technicals and market sentiment, it’s possible to recover certain losses in the near future. Gordon’s site, TradingAnalysis.com, provides market analysis and trading strategies. Gordon has also made predictions about other markets, including commodities like crude oil. In November 2015, when crude was trading at $41, he predicted a decline of nearly 50 percent down to $26. In February of the following year, crude was trading at $26.05. 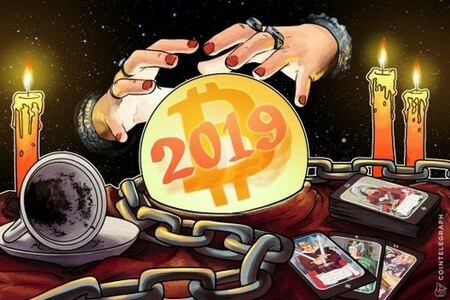 Earlier in June, stock analytics firm Trefis estimated a BTC year-end price of $12,500, which is $2,500 lower than their initial forecast. Trefis’ BTC forecast analytics is based on fundamentals of supply and demand, where demand is the number of users and the amount of transactions, and supply is the number of available BTC. Last month, Wall Street analyst Spencer Bogart said that the major cryptocurrency will trade “at least” above $10,000 by the year’s end. He suggested that the reality of a deeper institutionalization of the crypto space is securing the long term “story,” and is “overall positive” for Bitcoin’s future.